Why I’m Taking My Kids to See the “Exclusively Gay Moment” in "Beauty and the Beast"
Easily one of the greatest contributions to anyone’s childhood is that of the Disney corporation. Whether you grew up with black and white reels of Mickey Mouse, or dreaming of living in Belle’s castle, Disney films and characters have been paramount to growing up and dreaming BIG for 94 years. The same animated Disney films that shaped our childhood and those before us are now becoming live-action remakes for the next generation. 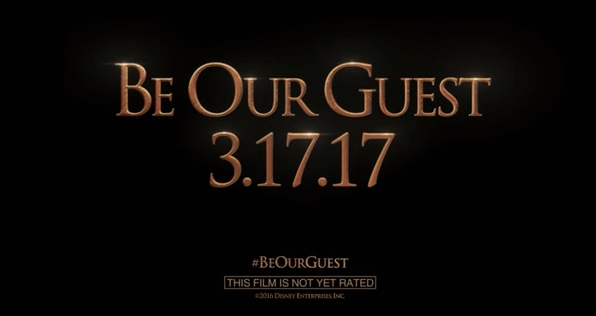 The highly anticipated live-action Beauty and the Beast is set to hit theaters on March 17. According to Vulture, this “exclusively gay moment” is a two-second snippet of Gaston’s sidekick, LeFou, dancing with a henchman dressed as a woman. But are we really all that surprised this is happening? THIS is exactly what the Bible warns us about—the things of this world are not of Christ. Disney’s sinful agenda is not one that we should shy away from, but rather take as an incredible opportunity to discuss the gospel. Satan is evil, but his tactics appear godly. Think about the story of Adam and Eve in the Garden of Eden. God gives them free reign to “eat” from any tree except that of the Knowledge of Good and Evil. Of course we all know that Satan appears in the form of a serpent and convinces Eve to eat the forbidden fruit. What’s so important for us to know as Christians is that this “fruit” isn’t something like an apple. It’s exactly what the Bible says it is: knowledge. It’s ideas, thoughts and worldviews that shape our beliefs and thinking. To “eat” isn’t to consume, but rather to buy into a particular perspective. This is where subtle scenes like the one slipped into Beauty and the Beast pose a threat to our children and society. Satan didn’t convince Eve to eat the forbidden fruit by appealing to her rebelliousness. He instead appealed to Eve’s godliness—convincing her that she should eat the fruit in order to be the most pleasing to God. In the same way that Satan didn’t sell Eve with rebellion, Beauty and the Beast won’t sell homosexuality as a sin. It’s a children’s movie, which is widely associated with innocence, and “good.” But the sinful agenda of the creators and society as a whole is the “forbidden fruit.” It portrays a knowledge, or belief, that “love” and “acceptance” is always good, and “good” is what’s most pleasing to God. There’s a fine line between what’s pleasing to God and what’s pleasing to the world, as there is between what it means to love homosexuals while hating the sin of homosexuality. Satan is the tightrope walker extraordinaire, and never fails to capture people’s hearts on that fine line. 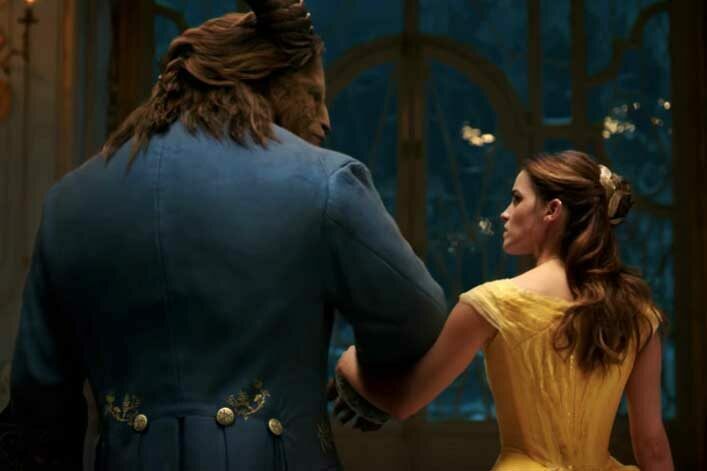 Beauty and the Beast is a perfect depiction of that tightrope, and the beliefs that society will force on our kids. Hear me when I say that I believe there are plenty of great takeaways and biblical parallels that can be taught from the film. Belle’s unconditional love, mercy, grace and positivity exude what it means to live a life like Christ. But Satan is no stranger to fooling those who aren’t carefully watching out for him. For generations, Disney’s influence has shaped childhood experiences time and time again. They’ve empowered young girls through strong female figures. They’ve encouraged every child to reach for the stars, and dream big from deep within. In 2017, Disney is embarking on a new influential agenda, and we as Christians cannot biblically support it. But before you grab your pitch forks and flames, I encourage you to ponder this: We cannot protect our children from the sinful nature of this world—hiding it only cultivates ignorance. Society is bombarding our kids with these messages anyway, so I’d rather them learn the Christ-centered truth from me than the culturally skewed perspective from peers and the media. It’s our behavior and response toward sinful things that will truly shape the way we raise up a generation of men and women in Christ. That’s why I’m taking my kids to see Beauty and the Beast. If you choose to see it, I would encourage you to make the most of this film, and the opportunity it presents for you and your family to openly discuss the gospel and what the Bible says about homosexuality in a Christ-honoring way. My Marriage Is Over: "No Band-Aid Has Stopped the Bleeding...Yet"